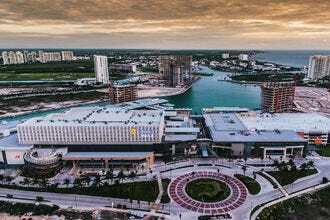 Located on the lagoon directly across the street from Cancun's Convention Center at km 9 of the Hotel Zone, this expansive space of 20,000 square feet houses more than 100,000 different Mexican products including handicrafts, jewelry, clothing, tequila, leather goods, souvenirs, vanilla, spices, coffee, tequila and swimwear. 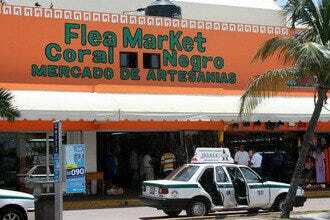 There are Plaza La Fiesta stores in many of Cancun's malls as well, including Plaza La Isla, Plaza Kulkucan, Plaza Flamingo and Forum by the Sea. Prices are reasonable, fixed and well-marked, so there's no need to haggle. Plaza La Fiesta will wrap breakables for your journey home. Christmas Shopping: "If you don't like to haggle, this air-conditioned store is a great place to shop for your souvenirs." Best for Christmas Shopping Because: If you're looking for a Mexican-themed gift, Plaza La Fiesta is a convenient place to shop.